We are proud to announce that the Shared Access National Indoor Junior Championships will take place in Westwood Leopardstown, Dublin from the 27th to the 30th of December 2018. As the last tournament of the year it will serve as a fitting finale to the 16 Month 2017/2018 National Junior Calendar* and will bring together the best players from across the country. It will consist of a 32 player draw at u12 and a 16 player draw in the other age groups. Four players will come through from qualifying on the 15/16th of December 2018. 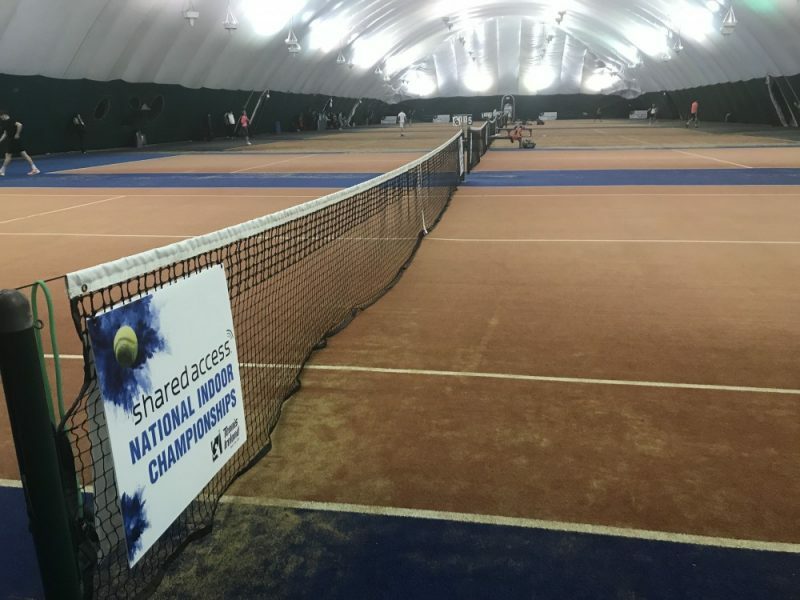 The top 28 players u12 and top 12 players in the other age groups in the national rankings entered in the tournament on close of entry will be accepted into the main draw. The finals will also give us the opportunity to introduce the new Year End No. 1 Trophies presented by Tennis Ireland. These will be given to the boy and girl who finished top of the rankings in each age group. Entry for this event is now open and available HERE. The 2017/2018 season saw the implementation of a 16-month transition calendar which comes to the end on the 31st of December 2018. Transition points were in place at the end of 2017 to allow this 16-month calendar to be successful, there will be no transition points this year. Details of this change which was introduced last October can be found HERE. Full details of the Shared Access National Senior Championships will be released shortly.